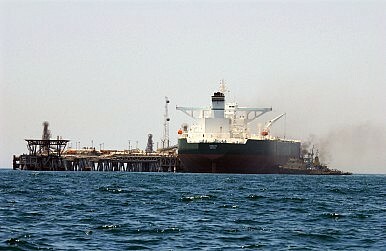 Although Japan has cleared a payment of $550 million to Iran for oil purchased, it is not planning to increase imports. According to a Reuters exclusive, Japan became the first country to pay for crude imports under the interim nuclear deal between Iran and the P5+1 which allows for limited sanctions relief. The deal went into effect in late January 2013 and will continue for a period of six months during which time Iran and the P5+1 will attempt to negotiate a permanent deal (provided all goes well during the interim period). The move could endear Japan in the eyes of Iranian firms and abet efforts by Japanese firms to enter the Iranian market should a permanent deal clear the path for long-term business and financial relationships between Iran and developed economies like Japan. Reuters notes that for the moment it is “unclear” why Japan was the first oil buyer to pay Iran given that China, India, and South Korea also buy Iranian crude. China in particular has a relationship with Iran that goes beyond energy and into the realm of strategic cooperation. Anonymous sources confirmed that a $550 million payment was cleared earlier this week, and noted that additional releases would be made in the future. One of the sources noted that a “substantial portion” of frozen Iranian funds are held by the Bank of Japan. A Bloomberg report after the Iran deal noted that South Korean and Japanese oil refiners had no interest in boosting crude purchases from Iran and it doesn’t appear that this has changed. Japanese refiners may be waiting out the period of the interim deal before making any sort of commitments to long-term purchases. While the payment appears to benefit Iran, it should be noted that these funds are essentially Iran’s own money–part of $4.2 billion in frozen funds that the P5+1 conceded on a rolling basis as part of the interim deal. As part of the deal, Iran is permitted to continue selling its oil at current levels (see The Diplomat’s more detailed coverage of the Iran interim deal here). The anatomy of a Chinese tech-company disaster.